It's not Julie Andrews if that's what you are thinking. That's what I was thinking. This story came across more Nanny McPhee-ish to me. Maybe that's just me. At any rate, this was not what I was expecting. I would have liked a nanny, if I had to have a nanny, like the Julie Andrews version of Mary Poppins. I would not have liked the actual one. The actual one had me questioning how any mother would want to give up the raising of her children to a nanny. Then again, after the day I've had, I can see that it would be tempting! But I digress. Travers' Mary Poppins is much more stern and negative with the children, not to mentioned rather enamoured with herself. Plus she doesn't sing. I think all good nannies should sing. Like Andrews, of course. Spoonfuls of sugar should be a must, mixed with a good dose of affection, and plenty of wisdom and proper guidance. Jane and Michael Banks certainly needed guidance both in the book and the movie and I think both versions of Poppins do their job well, except it's less pleasant in the book. She's just so...mean in comparison! I think Disney did a great job of picking out the best characters in Travers' book and making the most out of them. Bert was an excellent choice as well as the jolly old uncle who can't come down from the ceiling for laughter. Disney made Poppins approachable, lovable and practically perfect in every way without being a bit of a stuck up. I love Julie Andrews in the role. I really don't like the real and original character as written by Travers. Ah well. I'm glad to have read it but being that she wasn't as charming as Disney made her out to be, I probably wouldn't spend any more time reading any of the other books in the Poppins series. In this case, Disney did better. Disney changed every story he made into film. I love the movie version, but I love the books more. They are peopled with such odd characters and events! 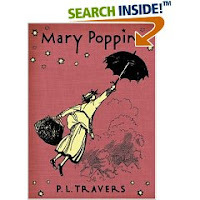 It may be because I was already very familiar with Travers's Mary Poppins before I ever saw the movie, but I prefer the books! Disney totally ruined everything. He is the pinnacle of evil. No Disney retelling of classic literature shall ever be allowed in this house. I have to say I thought the book was clever. Yes, quite different (and not as lovable) as the Disney movie, but Amanda and I both enjoyed the book version as another layer. I thought some of the stories in the book were great--like the dogs and the babies communicating. I forgot to ask if anyone who has read this knows why the book, or at least a chapter, was "revised"? "The original 1934 printing of Mary Poppins contained a version of the chapter Bad Tuesday in which Mary and the children use a compass to visit places all over the world in a remarkably short period of time. Because it contained a variety of cultural and racial stereotypes of the Chinese, Eskimos, Africans, and Native Americans, Travers responded to criticism by revising the chapter in 1981 to include animal representatives instead of people. At the same time, original illustrator Mary Shepard altered the accompanying drawing of the compass to show a Polar Bear at the north, a Macaw at the south, a Panda at the east, and a Dolphin at the west." I liked the books when I was a kid of a girl ---all of them. That was before I saw the DIsney movie. I like Disney, too. The pinnacle of evil???? Eldest Daughter would agree with Queen of Carrots, but I just don't see it. I guess I just have undiscriminating tastes. I liked that here was a family with five children-- so rare in modern literature (as a writer I guess they find it too much work when the children aren't the focus of the story). But I felt much the same as you-- liking the JA version so much better. The the books seem steeped in too much grown-up melancholy. Like the baby and the twins losing those things that made them so unique and special in their youngness. 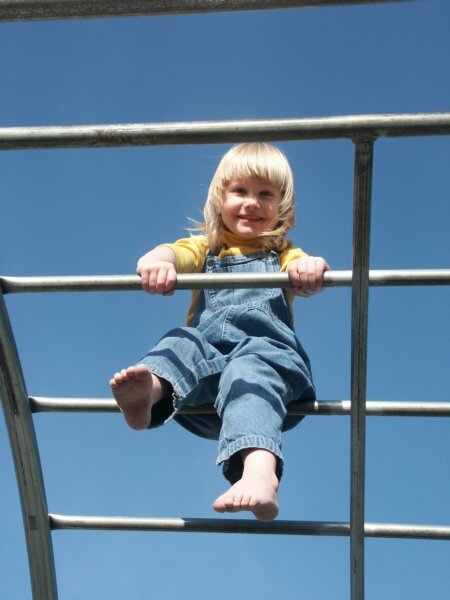 I don't think kids need the message that sacred things are irrevocably lost as they mature. Mostly because I don't want mine to think it's inevitable. I think the sense of loss of magic in growing up is one of the best things about the books. It was certainly something I was aware of and related to at an age when I was old enough to read the books for myself (say 9-11ish).